This versatile Hasp and Shackleless padlock set comes complete with fixings and offers superb value for money. 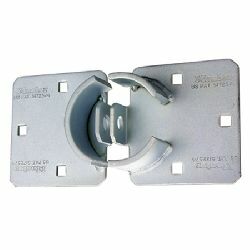 The two part hardened steel hasp features a protective circular barrier to provide maximum protection against attack when used with the round shackleless padlock. 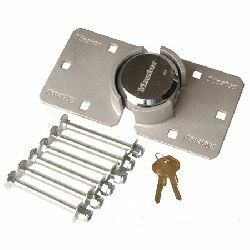 The padlock which features a quality 5 pin lock mechanism is manufactured from a solid hardened steel billet, and is supplied with two keys. 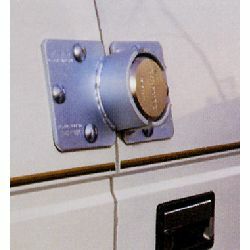 Note: the shackle is an essential and key component of any padlock. The term `Shackleless Padlock` is a generic term, which is used to describe any padlock where the shackle is fully concealed and hence protected against attack by bolt croppers, etc.